Kee Pallet Gates are part of the Kee Gate range of safety gates and have been designed specifically to allow goods to be moved safely up or down from mezzanines or raised working surfaces. 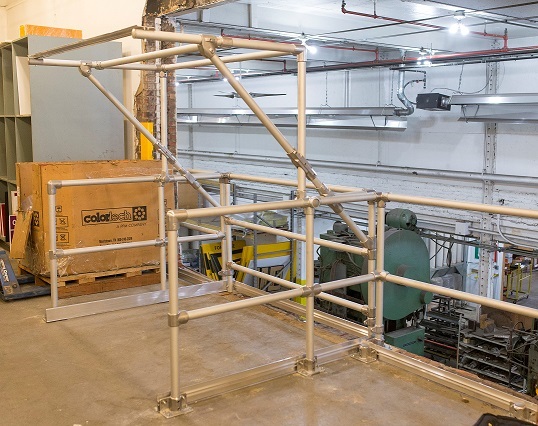 The range is easy to install or retro-fit to guardrails and barriers where openings need to be protected such as on mezzanines in warehouses and logistics centres. Each gate is counterbalanced for a positive open and close action, adding to the gate’s ease of operation. Kee Gate pallet gates are fully adjustable in width and are available in four different models to accommodate the type of operation required. Designed to accomodate wider pallets up to 1.4m x 1.95m with a maximum height of 1.60m. This gate is made from Aluminium to make it easier to operate.